Welcome back to another Behind the Camera installment. I typically discuss things that pertain to my photography on a personal level, or on a technique level which I think that others might be interested in. I find my inspiration many times from questions that pop up during the month that I think deserve more than just a simple answer. I had something in mind for this entry originally, but decided to change it up at the last moment. I am going to do something a little different this time and discuss something that doesn’t directly pertain to my photography….or does it? I recently read a blog entry on the Acratech Facebook Page about Respecting the Environment and Photography. This was a very short blog that basically talks about how there is an increasing number of photographers who will trample the environment in order to get the shot. It mentioned specifically a problem in California which has gotten a lot of attention here lately where the masses descended on Lake Elsinore causing traffic jams and forcing the city to close parts off. The reason….photographers were wanting to photograph the Poppies in what has been coined the “Poppy Apocalypse.” I read this entry and it took but a few moments to get through, but it left a lasting impression on me. So much so that I shared the article on my own Facebook Page which is a rare event. I continued to think about that entry and started to blend it in with other things that I had read or seen. The more I thought about this, the more I started to realize that just simply sharing an article isn’t enough. I owed it to our own landscape, whatever or wherever that is, to put some of my own thoughts in print. I also felt that I needed to explain a bit about what makes a photographer a photographer. A hint….it has nothing to do with what kind of camera they are using. With all that said, I felt that this was an important topic to discuss, and one that I think will benefit both the photographers as well as the ones who just appreciate our efforts and enjoy the resulting images. I hope that this entry gets shared and read many times over with the hopes that it will make a difference, and curbs the impact that we are having on the environment. I don’t intend anyone to go out and hug a tree after reading this, and to be quite honest, I’ve never hugged a tree before….but I do enjoy photographing them. 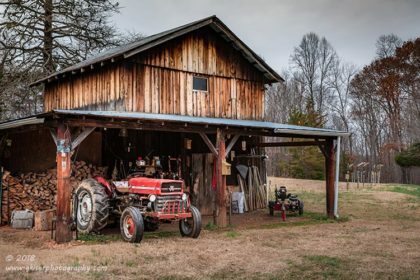 Over the years, as I have learned about what locations tend to yield great photographs, I have seen the same places appear over and over and over. In fact, you can get the exact GPS coordinates of where many famous photographs were taken. Yes, that is correct. With today’s technology, you can find the exact coordinates attached to a digital file where a shot was taken. Input that into your own GPS and you can be the next Jack Dykinga. Well, it might not be that easy, but it is certainly a road that many will try to go down which leads to things like the “Poppy Apocalypse.” With the advent of digital cameras (including cell phones) there has been a flood of “photographers” compared to just 30 years ago. The numbers of landscape photographers has grown exponentially and thus these beautiful locations like Yosemite National Park, Olympic National Park, and the like, see hoards of photographers looking to be the next Ansel Adams. These are the iconic landscape locations and if you are wanting to get into landscape photography it is a rite of passage to get those famous shots. At least that is the popular belief it would seem. If you have a digital camera, even a cell phone, you are apparently now an instant photographer as you look through Instagram, Facebook, or other social media.. With all of these photographers traveling to get the famous shot of El Capitan or Dettifoss, you are seeing more traffic than the landscape was ever designed to handle. That puts a strain on the environment and all things in it. It forces adaptations to be made in order to compensate for that impact. There are now railings being installed at the famous Horseshoe Bend in Arizona to keep you from falling. This was never an issue before, but with the added traffic and more people going there, it became a necessity. Safety is a great thing, but it has now altered the ability to get that famous shot ever again. The impact on the landscape is immeasurable with that added traffic. I’ve heard of other iconic locations being closed periodically to allow the landscape to recover from all of the trampling. I’ve actually been reading a lot about this very topic for the last year or so. I even alluded to it in a previous Behind the Camera where I talked about where I like to shoot. I have always shied away from popular locations simply because I hate the crowds. I don’t like having to jockey for position to get a photo. I would much rather go somewhere that isn’t photographed nearly as much and get an image that really stands apart from the crowd. That being said, I do get the well photographed subjects from time to time, but I will only do it when the crowds are low, or non-existent. A perfect example of this is the Mabry Mill just inside of Virginia, on the Blue Ridge Parkway. 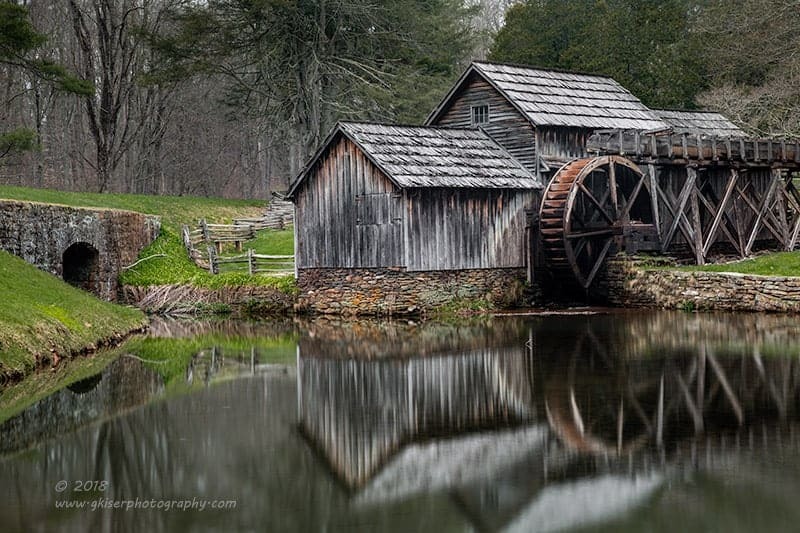 This mill might just be the most photographed place on the Blue Ridge Parkway. You can go there any time of the year and find somebody capturing an image of this location. 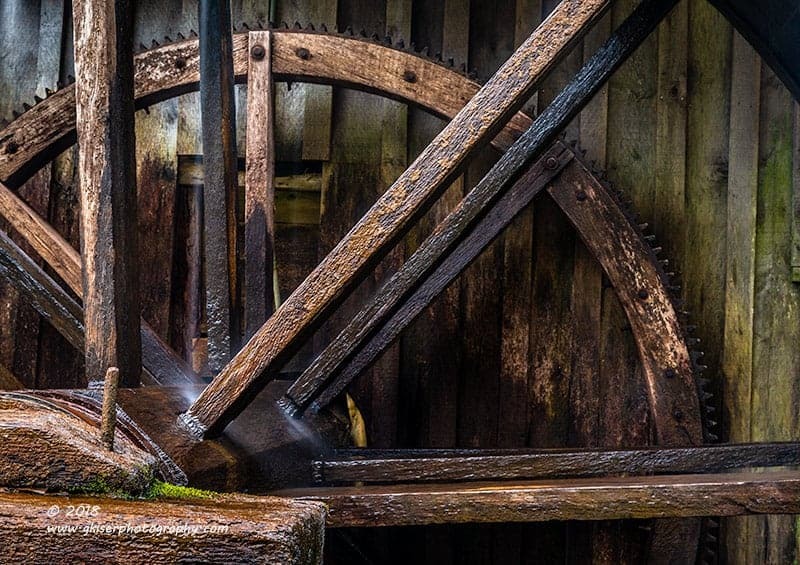 There are a ton of images of this mill to be found online from the thousands of photographs who photograph it. It is a beautiful place, but it is a forgettable subject for me because of how many actually photograph it on a daily basis. 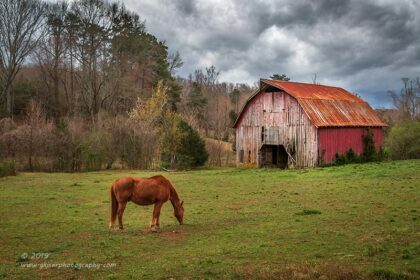 On this particular day, I was driving down the Parkway looking for something that I could shoot with the dreary conditions that I so enjoy working with. When I came upon the mill, I noticed there was nobody there and the fog had actually lifted off of the ground. This was the time I needed to be here, and I stopped. The image is not really that different from anyone else’s, but it captured the mood I was after. I then went in closer to get some isolation shots that actually turned into instant hits online because they were not the iconic image of the mill like I have just shared. The key to photographing the iconic scenes is to go when nobody else is there, and to shoot it in a way that nobody else ever has. This is the only way you can make something stand out with these iconic locations. Does this lessen the impact on the environment, not enough sadly. It is just an attempt to make the crowds a little less intense which does help a little bit. The much better option is to go with a subject or location that is much less photographed and you are almost guaranteed to get something that stand out from the crowd as well as keeping the impact from being concentrated at one point. The idea behind landscape photography has always been to capture a scene that will create a positive reaction from your audience. You have to ask yourself, will this photograph which has been done the same way thousands of times over hit that mark? I dare say that it won’t. The viewer has become numb to the classic compositions. When you go for something they haven’t seen before, this is where you succeed as a photographer. For instance, I photograph a lot of waterfalls. 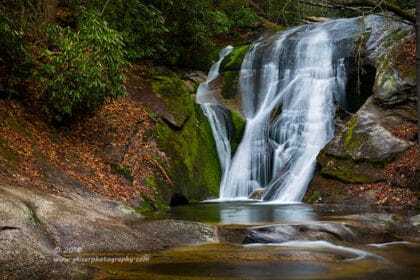 In my area of NC, Linville Falls often comes to mind. I would be hesitant to guess at the yearly visitors to this location as I have always seen it well attended. There are a lot of images of this waterfall available for consumption out there. When I get in the mood to shoot a waterfall, I want to capture something different, and I don’t want to go to the really popular locations. 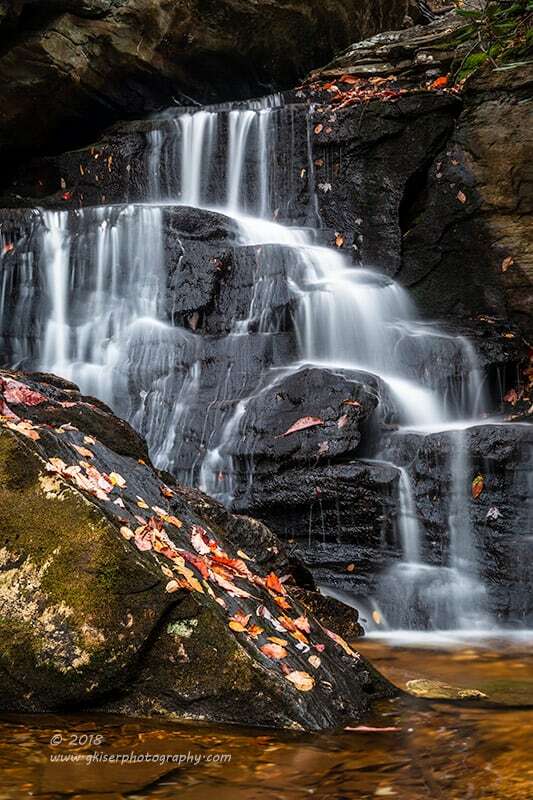 This image here represents a waterfall that is not widely known in Yadkin County. There are hardly ever any photographers there, and you just don’t see that many images online. Add to it the time that I shot this image which was after a very heavy rain. The colors from the mud spilling over the rocks makes this a standout image for me. It was also one that I have not seen duplicated. 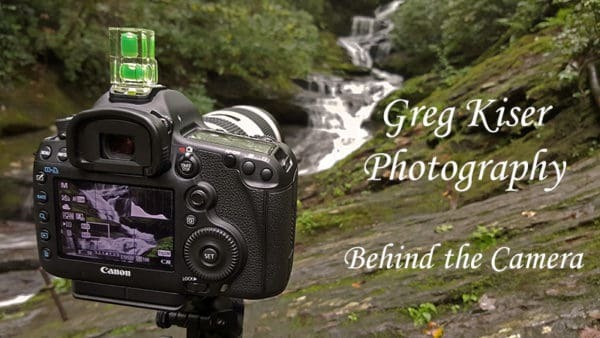 A shot of Linville Falls would have been lost in the mix for sure. As I mentioned before, geo-tagging is becoming a hot topic in landscape photography. With more and more cameras being able to pinpoint the location where an image was shot and then embed it into the resulting file, it is easier than ever to go to the exact location where a particular picture was created. Many of the shots that Ansel Adams had created have been researched and then tagged as well which makes it so easy for photographers to put the tripod in the exact spot a shot was made. This sounds innocent enough and a great use of modern day technology. If we were looking at a small collection of photographers that were using this technology then it would really not be a big deal. However, the reality of is, everyone is a photographer these days and they all want to get that iconic shot. That is the problem and now we have some areas that require a guide to take groups to a specific area to limit the impact. There are many places that I shoot where I won’t divulge the location. Not because it is secret and I don’t want anyone to work the scene though. I do this because I want to limit the impact on the area. If somebody else finds it, so be it, but I don’t want to be the cause for the trampling of an area that I am supposed to be celebrating. All of this trouble to get a picture that has already been shot. That is the part that gets me. As a photographer, I think that part of the thrill is finding your own composition and subject. A photographer is more than somebody with a camera. A photographer is somebody that takes control of the situation and creates an image that they visualize by finding the proper place to set the camera up, selecting the appropriate lens, and using the correct exposure. Otherwise, you are just being a copy machine. I’m just saying, if you are out to recreate somebody else’s shot, you had better be prepared to do it better than the person before you. Otherwise, there is really no need in taking the shot. When it comes to my own photography, I actually look at very few images where I contemplate doing the same thing. I look at them to see what the potential is at an area. I quickly forget the compositions and when I get there, I am looking for my own voice at the scene. If I do pick the same composition, I can just about guarantee that it was not intentional and the lay of the land at the time dictated how I shot it. This is not to say that you shouldn’t try to mimic compositions when you are learning, as that is a helpful tool. 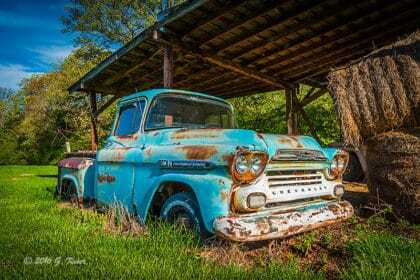 Just don’t fall into the rut of letting others dictate how your pictures should look, but that is a topic for another discussion all together. It all comes down to respect for what we are photographing. This is a huge planet and there are just so many places where you can capture amazing images that haven’t been shot millions of times before. 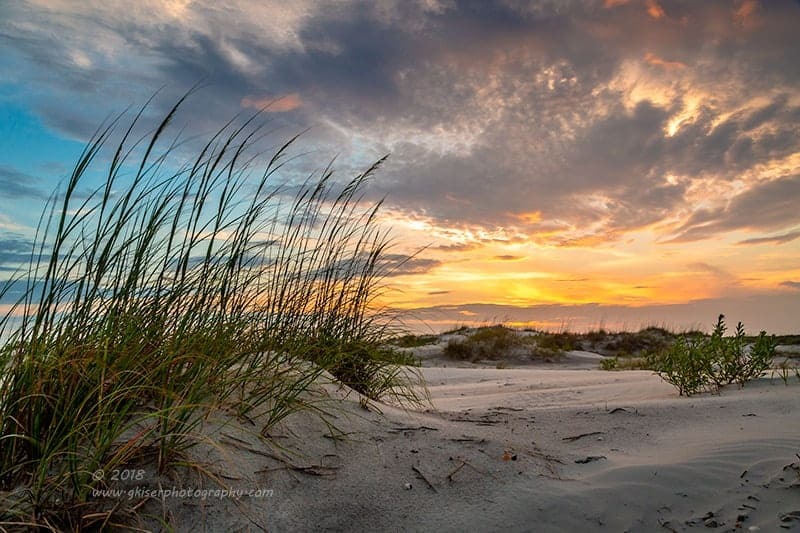 For this image, I walked down the beach to the deserted Southern Tip of Topsail Island where there was not another soul anywhere to be seen. I waited for the sun to put on a light show that I was hoping would happen based on the clouds in the sky. It happened, and it was exquisite to see. I was there all alone, just a single body on the beach capturing this wonderful natural event that was taking place just for me to see. The resulting image is one that I dare say nobody else has ever recorded since every sunset is different. There is another natural light show that comes to mind that is the polar opposite of this particular event. I’m sure that everyone is familiar with images from Horsetail Falls in Yosemite National Park, maybe not by the name, but by the images. This is the waterfall on the side of El Capitan which lights up once a year when the sun is in a particular position and the sky is clear. Photographers from around the world come here to document the light show. I have read so many accounts of these photographers standing elbow to elbow with tripod legs overlapping, waiting for that moment to capture the image. Oh yes, I am sure that this is a total thrill for all of them, and I have to admit that the scene is magical. Does this mean that I want to participate in that event….NO WAY! Looking at the park website, permits and reservations are typical for attending, and due to the amount of cars that arrive (think Poppy Apocalypse here), you will have to walk a long distance to get to the falls. Hey wait a minute, I have walked long distances before to capture landscape images before. Yes…but when I am doing it, I am all alone and capturing a segment of time that nobody else is. If I were standing elbow to elbow with hundreds of photographers, with tripods overlapping, there is no way that my image would be any different from anyone else’s. None of those images become special as a matter of fact. And then when you search images online, you get an endless string of the same picture over and over by all sorts of different photographers. Is this really how you want to make a name for yourself? Respect also works in other ways for a photographer. 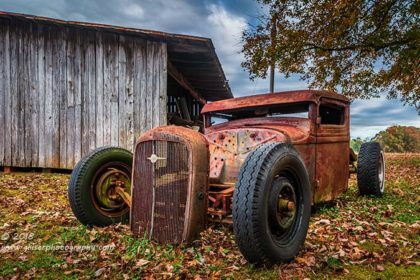 As you know, I spend a lot of time with my decay photography. 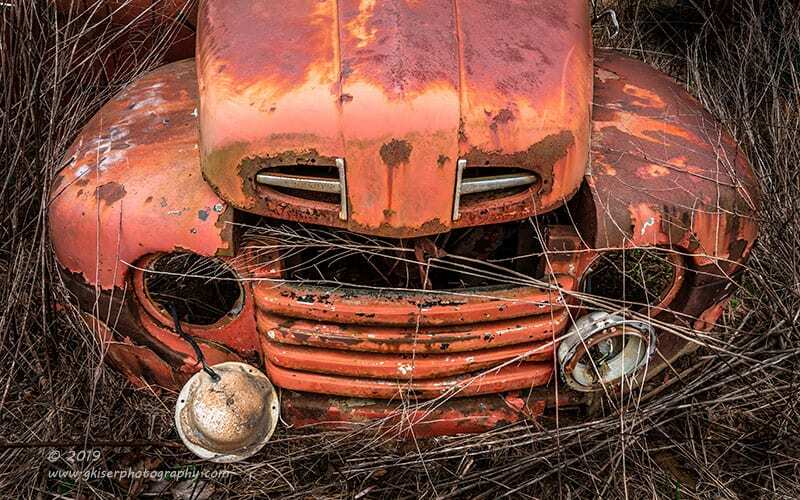 This is a small subset of landscape photography that focuses on the decline of man-made objects. Obviously, this requires entering other people’s property from time to time. There are quite a few out there which will enter and photograph without asking permission as a rule. These set a really bad standard for photographers who then get the reputation for trespassing for the shot which is a criminal offense pretty much everywhere. Yes, you might get the picture you are after, but you are doing more damage than good, by affecting the reputation of photographers everywhere and potentially damaging a fragile environment in a state of decay. It is always best to ask permission of the property owners before going in to get the shot. This has actually come up twice in the month of March where I have found locations with really good subject matter. In both cases I had to ask permission to access the property and I was granted it in both cases. That permission came with a caveat though, which I have honored. Both times, one of the biggest concerns by the property owner was that they didn’t want the location divulged because they were afraid of many more following me to their property. I absolutely understood that concern and gave my word both times. Typically I will share general areas where I find things as much for my own memory as giving context. With these, I will only narrow it down to the county where I found them. I have missed several great shots because I am very aware of privacy and if I can’t make contact with owners, I will just leave and try again later. I have found that for the shots that I have missed, I have more than made up for it with the access I have been given at other locations or even other times. This usually yields so much more from a location like the stories behind what I am shooting and even more access than I could have gotten if I had bypassed asking. It is well worth taking that extra step to ask permission if it is something that can’t be successfully shot from the road. Also, be sure to be clear on whether or not they mind you sharing the location, especially if it is not clearly visible from the road. This same trespass concept applies to the landscape photographer as well. We are all guilty of going off trail to get the shot from time to time. This small unnamed waterfall is just downstream of a known waterfall at Hanging Rock State Park. To get to it, you have to go down a short scramble path. The more often that this path is taken, the more erosion will likely happen to the slope that leads down to it. We have to keep this in mind and be very careful of where we step when going off trail. It is also a very good thing that this small waterfall isn’t all that well known because it will limit the amount of people who will go and see it. These days, photographers carry a heavy load compared to those from Ansel Adams’ time. Our camera’s have gotten lighter and more compact, but our responsibilities have grown rapidly over time. We now represent a very large portion of the population which refers to themselves as photographers. In a way, we are all influencers with what we do, it is just the scope of impact that we have which makes the difference. As we are out capturing images, we have to do it responsibly. Don’t be that photographer that ruins the shot for everyone that follows after you by trampling the flowers or causing barriers to be erected. Set the example by finding new horizons and not the same compositions as everyone else. Be respectful of property by following the mantra of “Leave only footsteps, take only memories.” Our job as photographers is to preserve the world around us and that is twofold. Not only do we capture a segment of time and freeze it forever, we must also protect the landscape for the enjoyment of others. These are all such important tasks and they will affect not only how photographers are viewed years from now, but also what laws and regulations are made which affect what we do.